 Log In needed * VANS * BUS * EXPRESS, FORD, RAM ASTRO SAFARI CARGO/PASS and OTHERS HERE !! 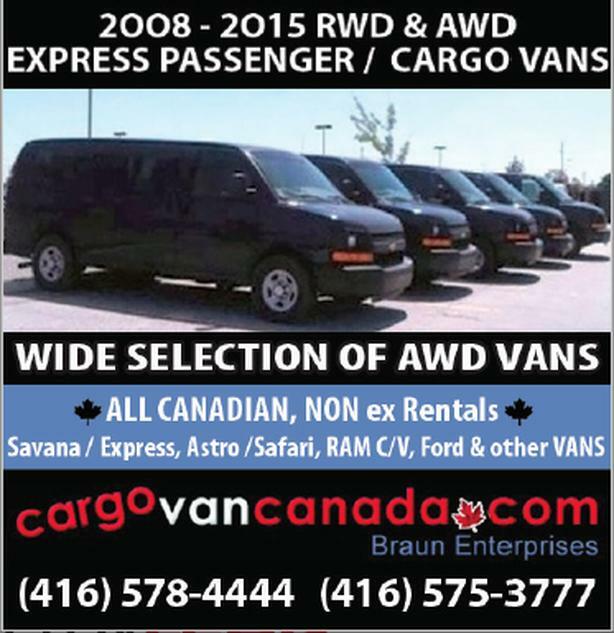 OVER 65+ SAVANA EXPRESS AWD CARGO & PASSNENGER FORD ASTRO SAFARI & RAM VANS, IN STOCK !! We specialize in CHEV Express AWD & RWD as well as Ford, Express/Savana, Astro/Safari, RAM Cargo & other vans too, just ask !! WILL DELIVER, ASK for WHOLESALE DEALER COST.... great rates! Proud members of UCDA & OMVIC Certified!